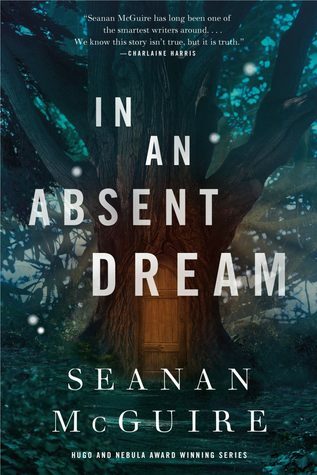 Seanan McGuire’s fourth installment in her Wayward Children series, In An Absent Dream, was magic. I loved this book series from the start. It pulled me into Neverland and never let me go. I have taken adventures into the mist and darkness with a mad scientist and a vampire king. To chaos worlds where people can be made again out of baked goods when they’ve lost their lives in the real world. We’ve seen worlds where color must be earned and mermaids are real. Seanan McGuire does not disappoint. Her latest book took us to an entirely new world we’ve only heard rumblings of. But it was more than that. We’ve seen love, and family, and this was friendship on a new level. I don’t know if it was intentional, but that’s what I read. This was beautiful and probably my favorite one of the lot. Pick it up. Read it. Love it or hate it. But by all means, give it a chance. I know this is short and sweet and to the point. I’ve blathered on about this book in the past and you’re free to read the blogs but I’d encourage the book instead. They’re quite short. No particular order matters. It’s one of the nice things about these books. They all play off the first but it is not a requirement to read it. Take it from me. I don’t praise everything I read. Check out the Goodreads list if you don’t believe me. This is book number 19 this year and I think I’ve probably only mentioned five at most. Gosh, I should really get on that more. Ah well. Buy a new book!